We accept same-day emergency appointments. Call us today at (484) 427-4663. How Can I Access an Emergency Dentist? Fortunately, it’s not necessary to suffer or to cancel your plans. Our emergency dentists in Collingdale provide full emergency dental care during regular office hours. We will do everything possible to see you within the same day. Our goals are to diagnose the problem, relieve your pain, and treat the underlying condition so that you can avoid a recurrence. Simply contact our emergency dental office to be connected with one of our skilled emergency dentists; we’re here to ensure that your problem is resolved quickly so that you can get back to your life. Our office welcomes both patients and non-patients with dental emergencies and provides same-day or next-day treatment. When Is it Time to Request Emergency Dental Treatment? What symptoms require me to seek out emergency dental care near me? If you have of the following conditions or symptoms, it’s time to get emergency dental care. Treat a broken or cracked tooth promptly to avoid infection and further damage. 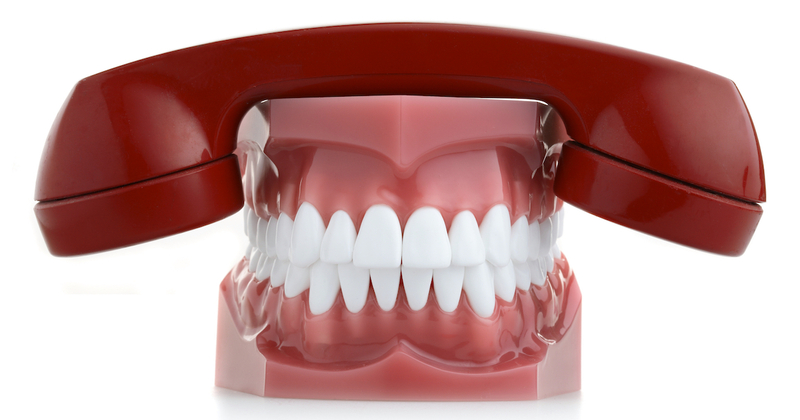 Call us to make an appointment for emergency dental care as soon as you notice the problem. A knocked-out tooth is scary, but quick action can help our emergency dentists save the tooth. Locate any broken tooth fragments after the incident occurs. Rinse them in warm water. Replace your tooth back into its socket, or hold it between your cheek and gum. Call us immediately for instructions. A toothache has many possible causes. Never postpone treatment, especially if other symptoms such as severe pressure, fever, ear pain, or jaw pain are present. You may not need urgent dental care for mild sensitivity to temperature, but severe or sudden symptoms could point to a tooth fracture or serious infection. Tooth decay is a gradual process, but it may become a painful emergency if a tooth’s nerve or pulp is suddenly exposed. Our emergency dentists determine what measures are needed to repair the tooth and eliminate your pain. Cavities, gum disease, or injury can be underlying causes of a serious infection called an abscess. It often forms at the root of a damaged tooth and can cause severe pain, facial swelling, swollen lymph nodes, pus-filled drainage, fever, bad mouth odors, and a general feeling of being unwell. If you think that you may have an abscessed tooth, contact our emergency dental office immediately. Without prompt treatment, this emergency can lead to serious complications. With a missing, loose, or ill-fitting filling, your tooth is more vulnerable to progressive damage and decay. Call us promptly to schedule an evaluation. Broken crowns and lost restorations expose your teeth to further decay and damage. Our emergency dentists can replace or restore your restorations to keep your smile and your dental health in top condition. The metal components of braces can break or shift unexpectedly and cause injury or mouth irritation. If brackets and displaced wires lead to discomfort, we can stabilize your orthodontic devices, relieve your pain, and adjust components to prevent further problems. Over time, grinding your teeth can lead to chipped and eroded tooth enamel. If you’ve noticed visible changes in your enamel, or your teeth-grinding habits have become more severe, let us help by strengthening your enamel and providing the tools you need to prevent further damage. Due to the proximity of the sinuses to the teeth, sinus pressure is sometimes a symptom of an underlying dental problem such as a hidden infection or an impacted tooth. If you are suffering from unexplained sinus pressure, contact us to schedule a consultation. We can help uncover or rule out dental causes of your symptoms. I have severe, dangerous, and frightening symptoms. Should I still visit an emergency dental office near me? Some conditions are beyond the scope of emergency dentists in Collingdale. If you experience symptoms such as severe or uncontrollable bleeding, faintness, dizziness, impact injuries to your head, face or jaw, or severe facial swelling, you should contact your doctor, visit an emergency room, or call 911 instead of seeking dental treatment. How Much Will an Emergency Visit Cost? The price of dental emergency care depends on the treatments and tests needed to diagnose and treat the condition or injury. Our affordable emergency dentists can take payments from major credit cards and accept most dental insurance plans. If you don’t have insurance, you can take advantage of our convenient financing plans or enroll in our DentRite® discount plan. DentRite® isn’t insurance, but it gives you access to great savings on a variety of dental treatments, procedures, and preventative care measures. Your family members are also covered under your plan, and there are no usage limits. If my tooth breaks on a Sunday night, should I wait until Monday to access an emergency dental office near me? The severity of your pain and your condition dictates whether or not you should wait to obtain treatment. If you’re not sure how serious the problem is, it’s probably best to go to an emergency room for treatment instead of waiting for our emergency dentists to get back into the office. When you need us during regular business hours, our emergency dentists in Collingdale are here and ready to help. When faced with a dental emergency, the first thing you must do is locate an emergency dentist Collingdale. Until you can be treated by the emergency dentist, follow these simple tips for common emergency dental problems. The wait time was short and staff was very friendly.